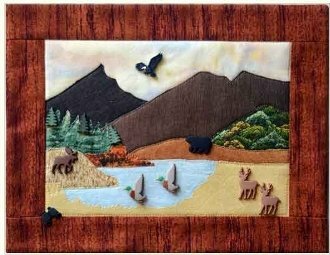 Whether your quarry is bear, deer, moose or birds, this Hunting Wallhanging pattern celebrates your take! Pattern Quick assembly with raw edge applique, envelope construction, includes buttons. Size: 9 1/4" X 11 3/4" Extra Buttons Available.